Valentine’s day is fast approaching and perhaps new romance is in the air for you. There’s nothing like the feeling of new love…butterflies in your stomach, knees like jelly and, if things are progressing, then at some stage soon you are going to want to take your new love interest back home. But there’s just one problem…you already have a loved one waiting for you at home – one who is covered in fur and likes to lick your face – and, chances are, he will not be that happy to share your affection with your new love interest! For some pets it can be a real challenge allowing new partners into their life with you, while some are more easy going. Dogs are usually more territorial and jealous than cats when it comes to meeting strangers and having new people in their home. Suddenly their human is coming home with a stranger who may already be making him or herself feel at home in their territory. Suspicion is rising. This person is getting close and touchy with you…your pet may not like that, and may even feel the need to protect you. Your pet’s routine usually changes too, because you are going out with your new partner, spending nights away from home, and likely to be changing times for feeding, walking and playing. And – even worse – your pet may now be expected to leave his comfy spot on your bed! You can imagine how hard this must for your pet who has, until now been the number one object of your affection. He will just have to get use to sharing your affection. But how do you actually make this happen? Firstly, you need to make sure that your pet feels safe and not threatened by your new partner. Your pet also needs feel that your new partner is bringing benefits to him directly and that his relationship with you is not suffering. Choosing a pet loving partner or someone with experience owning pets will make things a lot easier. Accepting and bonding with one another has to work from both sides – your new person and your pet. Introducing your new puppy to your new partner can be daunting, as you want your new partner to love your puppy as much as you do. Your puppy will be comfortable with you cuddling and hugging him, your voice your smell, but your new partner is a stranger to your puppy. People often get very excited and over the top when they interact with puppies, but especially that can be scary for a young dog. It can be very frightening for a young puppy to suddenly be covered in kisses and hugs from a stranger. And your don’t want your puppy to be overwhelmed and scared and start avoiding your new partner, so give your puppy time to get comfortable with your partner first through lots of praise and rewards like treats or a game. Let the puppy approach your new partner and let them have fun together. And mostly let your puppy be himself. Don’t try to change your puppy to impress your partner. Take A Lead is one of Sydney’s leading personalised training service for you and your puppy.  As an accredited dog trainer and puppy expert, Aggy’s focus is to help puppy parents to provide their puppies the best start in their new family. Building wonderful relationships between the humans and their puppy or young dog is where Take A Lead’s puppy programs focusses on. The first impression is very important to your dog or cat, and pets can easily freak out if someone just invades their space without asking for permission first. Be patient – trying to force a friendship between your new partner and your pet often goes wrong. As much as we don’t like it if people we just met move too fast, so do our pets. Proceed step by step. Like any new relationship, just remember it takes time. Be patient to allow the relationship between your pet and new partner to settle in. Pets discover their world through smells (dogs even more so than cats). If your pet tends to be wary of strangers, maybe bring a t-shirt or a small towel with your partner’s smell home first. Let your pet smell it, and leave it lying around so your pet can sniff on it from time to time. Reward your furry friend with treats or a pat when it sniffs the item. Look for relaxed body language from your pet. Associating your new partner’s smell with something nice and comforting like a treat will create a positive association that your pet is likely to remember on the first meeting with your new partner.  As much as we would like our new found love to be as fond of our furry friend as we are, it might take a little longer for your new partner and your pet to form a bond. One of the key’s to introducing your partner to your pet would be to allow them time to get to know each other and be mindful, the more time they spend together will assist them getting use to each other. We all love our own pets in our own special way – don’t be too hard on your partner if they don’t form the same connection as you. To be on the safe side with dogs, you might like to choose a neutral territory for the first meeting. If your dog is wary of strangers or is fearful or territorial when strangers invade his space, we suggest you meet at your favourite dog park. Go for a walk, make friends, let your partner play and throw the ball for your dog. You may have to repeat this a few times to help your four-legged friend become comfortable with your new partner. Always check out whether your potential new love has an allergy or fear of any pets before inviting them back to your place for the first time – it will save on awkward moments getting in the way of romance if your fur-child suddenly lands on them. If your new partner has a dog and you do too, a dog-walk or jog together might be a fun date and a great way to meet each other’s pets on neutral territory. Check out first how sociable each other’s pet tends to be with others of his or her kind, and keep your dog on leash just in case someone rubs someone else up the wrong way. Have some treats on hand to help seal a beautiful friendship when your partner meets your fur-baby for the first time. It’s a good idea to get your pet used to staying out of your bedroom before introducing a new bed partner. Sometimes three’s a crowd and pets have been known to stare unselfconsciously at blush-worthy moments! Don’t let your partner force himself or herself upon your pet. If you introduced a t-shirt first, your pet will recognize the smell. Allow your pet to approach and sniff out the new person, who should be calm and relaxed. Let your pet dictate the speed of the approach; give it time to work through its apprehension. Especially with cats, the best approach is to ignore them when coming into the room – this will increase the chances of your cat going over and investigating the new person. Ask your partner to approach your pet in a crouched or seated position – bending or looming over a dog or cat can come across as threatening. Your partner should avoid talking to and staring at your pet, as most cats and dogs find staring threatening. Dogs don’t like to be patted on the head, but often enjoy a pat on the chin or chest. Your pet will let you know when it feels safe. Rest assured, most dogs will come around after two or three interactions with a new person. Helpful tips when introducing your dog to a new partner is to initially make sure that your new partner acts and behaves normally around your dog. You want to make the experience as positive as possible for both your dog and new partner, so if your new partner is nervous or scared, rushing an introduction could be damaging to the relationship. You want to be able to control every outcome so having your dog on lead is recommended, as long as the lead is long enough that if the dog wants to retreat it can. In a developing relationship you want your dog to think that your new partner is a fun, so make sure you have your new partner loaded with treats that your dog likes. Allow your dog to approach your new partner on its own terms and be sure to reward all confidence shown. Only encourage interaction with your dog if your dog is showing all signs of wanting to engage with your new partner. Should your dog become shy or nervous don’t push it and don’t reward it, as It may result in your dog becoming defensive. In addition, if your dog is over the top, avoid contact until the dog has calmed down and is behaving appropriately which can always be rewarded. 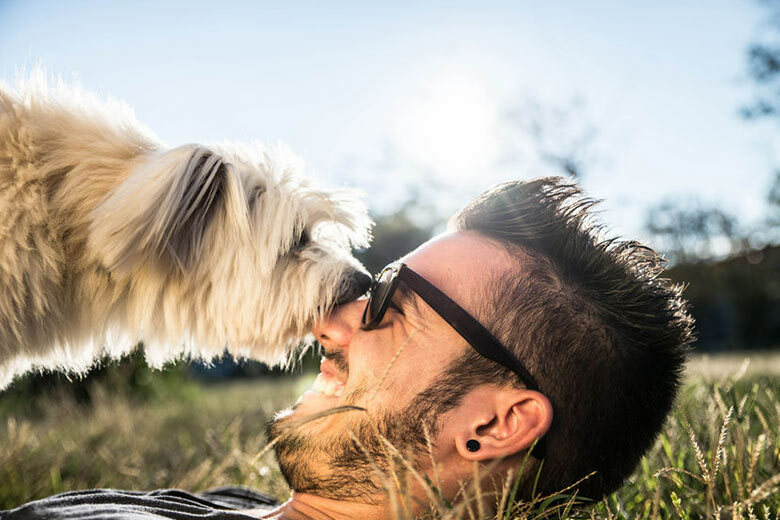 Make it a routine for your new girlfriend or boyfriend to offer your pet a high value treat every time they meet, or even just from time to time. For most pets that will break the ice. However, if your dog refuses the high value treat, that could be a sign that your dog is very stressed about the situation. As a foster carer for a rescue group and a qualified dog trainer, I’m lucky to get the chance to introduce many new dogs to the new people in their lives – its like Valentines day every month! The biggest mistake I see people make with nervous dogs is to have their new partner try and force the dog to like them through feeding them treats. I’m scared of spiders, and if someone put a $50 note on a spider I’ll take it, but it won’t make me like spiders one little bit. Unfortunately there is no quick and easy way if your dog is nervous, its just about taking it slow and not forcing anything. Just like dating, have your partner come along on all the things your dog loves to do most. Long walks on the beach and coffee at the café are perfect, as are trips to the river, long hikes and movie nights! Just having your partner be there without forcing interaction during fun times will help your dog realise that they are not so bad after all – and in fact they might be a bit of fun! Again a bit like dating, all dogs are different in the time it takes them to settle in. While one dog might be super friendly and ready for cuddles straight away, another might take weeks. Learn a bit about body language and make sure you give them space when they need it. Always remember that rescue dogs have already lived a whole other life, but do it right and they will love you and whoever you bring home! Some pets may feel left out or even feel the need to protect you when your new partner starts becoming physically close and touching you. Make sure you start off slowly and see how your pet reacts when you and your partner just hug a bit and kiss each other. If your dog reacts with some sort of bad behaviour, you may have to move in baby steps so your pet can slowly adjust to the situation. Obedience training will help manage these situations and keeping your dog under control – for example, you can send them to lie on their bed if they are misbehaving. If your pet reacts aggressively or lunges, growls, barks and shows his teeth to your new partner, stop the introduction immediately and seek professional help from a pet trainer and behaviourist. Even before bringing your new partner home, we advise that you maintain your pet’s usual routines as much as possible. Try and keep your schedule with feeds, walks, play times as they are. If you change the routines before bringing your new partner home, give your pet time to adjust. Changing routines often has a great impact on our pet’s behaviour and well-being because pets love a structured life. One key thing to keep in mind with any new partner is that you shouldn’t be too quick to dramatically alter any healthy routine you have. With a pet this is really important. Don’t start skipping your daily walk with your dog because you think you need to be spending your maximum free time with your new love interest. Get your partner to help share the chores so your partner feels included and your pet starts associating nice things with the new person in your life. Playtime with the pet and walks with your dog are a great way for them to bond with each other. Work towards building time where you can leave your partner and your pet without your supervision. If you’re looking to introduce your dog to a new partner, there are a few things to keep in mind. Firstly, that your own relationship with your dog is built on trust and compassion, which are built up over time. This may seem obvious, but I have seen many times where a newcomer to the relationship wants your dog to treat them as though they’re part of the new leadership regime a little too quickly. Don’t expect that your dog treats your new partner the same way they treat you, instead start off knowing you’re going to need some time to develop a relationship between your dog and your new partner. Here are some of the things I try to encourage people to do, that help speed up the process: Take the dog for some walks. Getting the dog outside to go on some adventures is a surefire way to start establishing that your new partner isn’t just someone taking their favourite spot on the couch, but someone who can offer the dog a lot of rewarding experiences. Make sure your partner takes some time to have fun with your dog. Some of my favourite things to do are teaching a new and simple trick like spin, and or playing fetch with some simple commands thrown in like sit and down. Make sure your dog is not essentially given a pass on being a polite and well mannered member of the family simply because some new things are happening around the house. Sometimes dogs are given a bit too much leeway when it comes to having a new person in the house because “That’s how they’ve always been.” Every once in a while make sure that the dog is given some time to be independent and spend time without you, so as to prevent them from becoming over possessive. With these things in the works, you should be able to add to your life and household without much issue at all! Even if your dog has successfully met your partner a few times in your home, having your partner entering your home by himself without you can still be a very frightening experience for your furry friend, which may lead to excess barking. If so, make sure you practice this while you are around. Have your partner entering the door, and then reward your dog for remaining calm. Then slowly move out of sight (in another room) and repeat the same thing. You want your dog to get used to your partner entering your home even without you and learn that this is no threat to him. 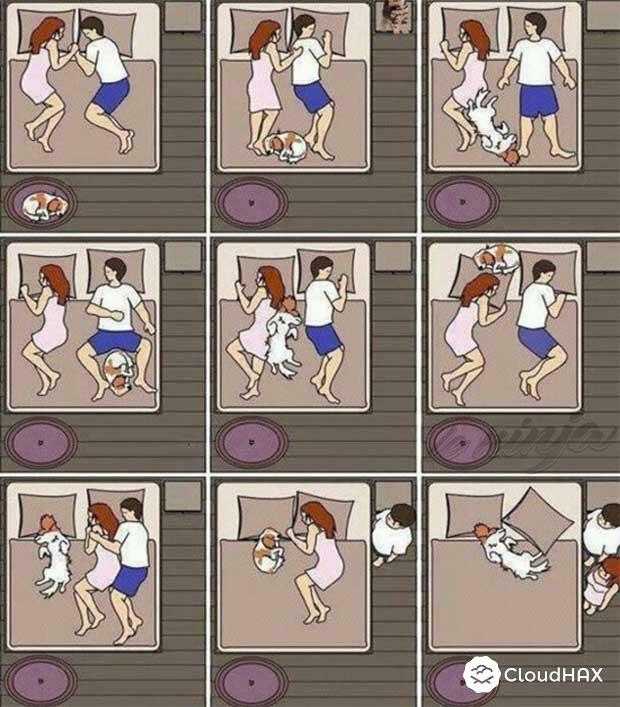 Depending on your sleeping arrangements, space in your bed may get limited, and you pet may feel neglected if there is suddenly another person sharing your bed. You can train your pet to sleep on its own bed before having your partner staying over for the first time. Alternately, grab your pet’s favourite bed from the house and put it in your room so your pet can settle there when it isn’t welcome in the bed with you. Crate training may be beneficial. Our pet is often a valued member of our family and as such they can be concerned who this new person is. Their focus may be on protection of you. Introduce them to the new partner by going for a walk if you have a dog or while doing an activity your pet enjoys. This way the pet can connect the new person with something enjoyable or fun. Being happy and smiling while introducing is also important so they can determine this new person is someone nice that you like and is not considered a threat. Our pet is another member of our family and consideration of their response is important. The most important thing is to watch your pet and its body language. Pets tend to send many visual cues before they get vocal. A happy dog will display loose and relaxed body language and may wag its tail, as per these images. 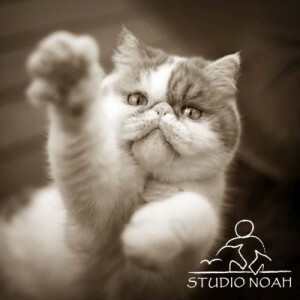 A happy cat will display loose and relaxed body language and have a friendly upwards pointing tail. 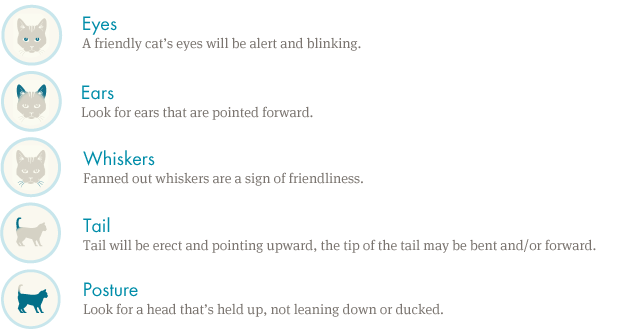 Below are some other indicators of contentedness in cats. Hopefully it won’t take long for your pet to get along with your new partner as well as you do. Just remember to be calm and relaxed about it, sweeten the situation with treats and rewards and be kind to each other. Happy Valentines Day! Want to give your dog a Valentine’s gift? Here are some great gift ideas from our friends at Australian Dog Lover. 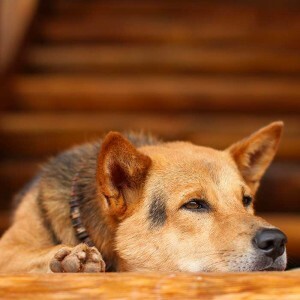 Does your dog get anxious when you’re not around? 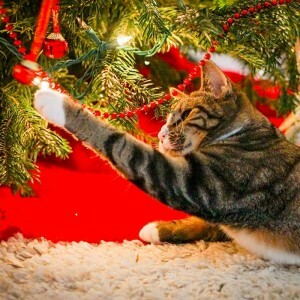 Pet Safety Tips: Keep pets safe and happy this… The Holiday Season is upon us and it is important to ensure that Christmas and New Year are a happy and festive time for everyone, including your pets.